Is anything closer to a child's heart than his toys? Kids and toys go together like peanut butter and jelly or cookies and milk; you rarely see one without the other! Choosing toys for your children can often be an overwhelming task as the choices abound and television advertising can be very deceiving. When selecting toys, remember to use the manufacturer's age recommendations as your guide. Although a mature 10 year old very well could enjoy a toy meant for a 12 year old, a toddler should not play with toys meant for 5 year olds. 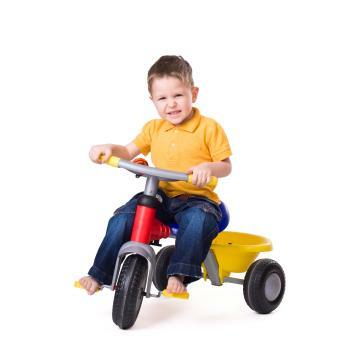 Toys meant for older kids pose choking and other safety hazards for kids under 3. With young children, always let safety be your guide. Every parent will spend time looking for age-appropriate, fun, engaging, and educational toys. Just about every child will long for the latest craze in toys at one time or another. Before putting your money in the wrong place, check out articles and reviews on your kids' desired toys to make sure they're fun, engaging, and appropriate. In addition, wait a while before purchasing each thing your child asks for; if your daughter is still asking for that doll in a month, it's probably something she'll play with a lot and treasure. If next week your son is talking about another toy, it's a safe bet to say last week's hype would have been money at least partially wasted. For girls, popular items are the American Girls collection or Bratz dolls. Boys may be interested in robot toys or ride-on toys. For more critical toy choices where you probably won't receive guidance from your child, our information on educational toys and toy gift ideas. If you're unsure what to buy your older kid, check out Teen Toys for the hottest choices out there. Regardless of the current fads and crazes, there are certain classics that continue to be be popular despite new items and new technology. Legos, Lincoln Logs, Barbie, plush animals, and Wooden Toys are among these classics that will always be appreciated and known as good toys for children to play with. If you're unsure about buying one of the latest trends, a classic toy is always a safe bet.